How to specify minimum share count for sharing networks? 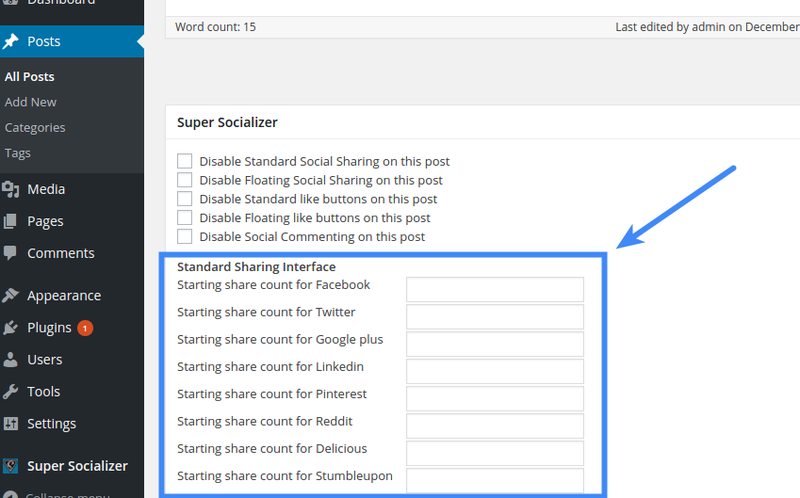 If you are using Super Socializer or Sassy Social Share plugin for Social Sharing, follow the steps mentioned below to enable minimum share count for individual sharing network. How to disable social share on particular page/post? 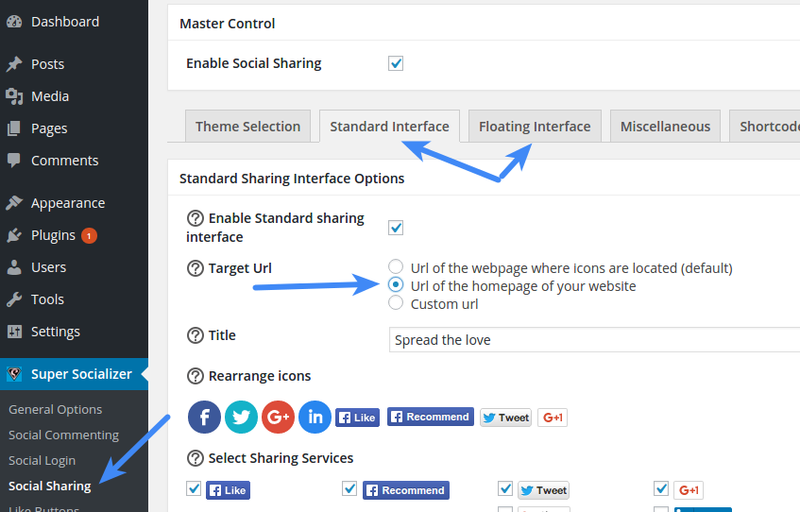 If you are using Super Socializer or Sassy Social Share plugin for Social Share, follow the steps mentioned below to disable Social Share on individual page/post. How to show share count of website rather than of individual page/post? 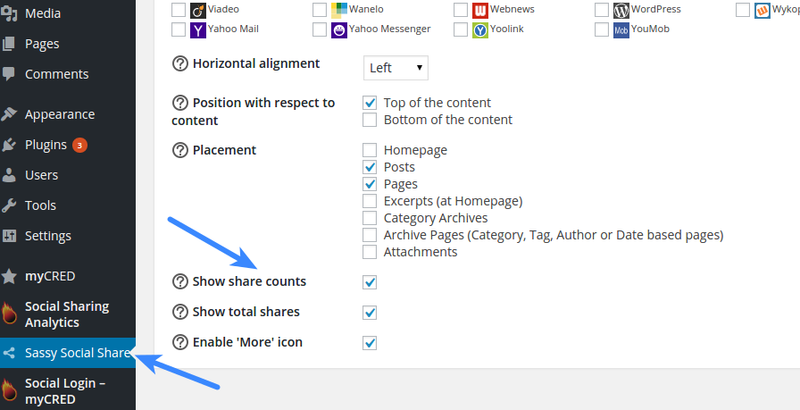 If you are using Super Socializer or Sassy Social Share plugin for Social Sharing, follow the steps mentioned below to show share count of website rather than of individual page/post. If you are using Super Socializer plugin for Social Share, follow the steps mentioned below to enable social share in the content of individual page/post. 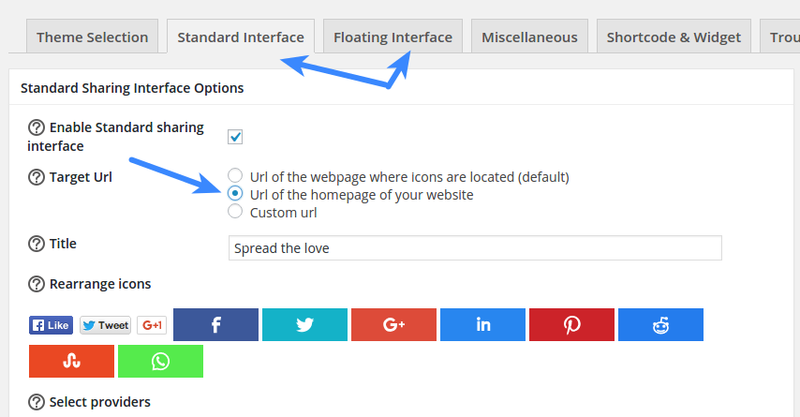 You can use [TheChamp-Sharing] Shortcode in the content of required page/post where you want to display Social Sharing interface. 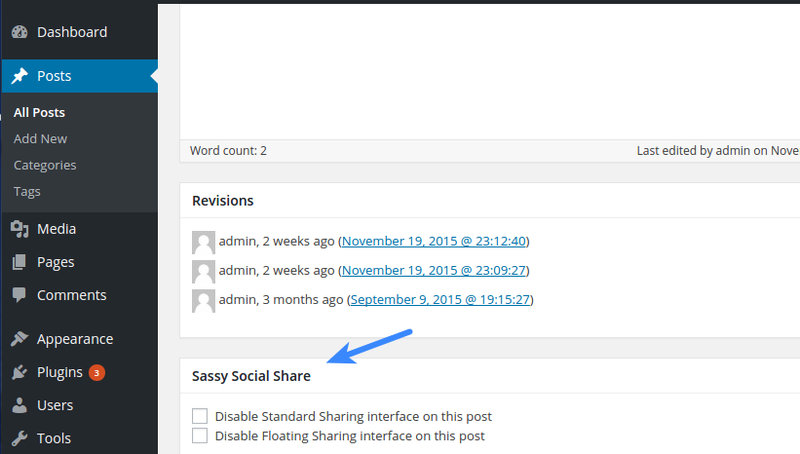 Use Title attribute to specify title above Social Sharing interface. 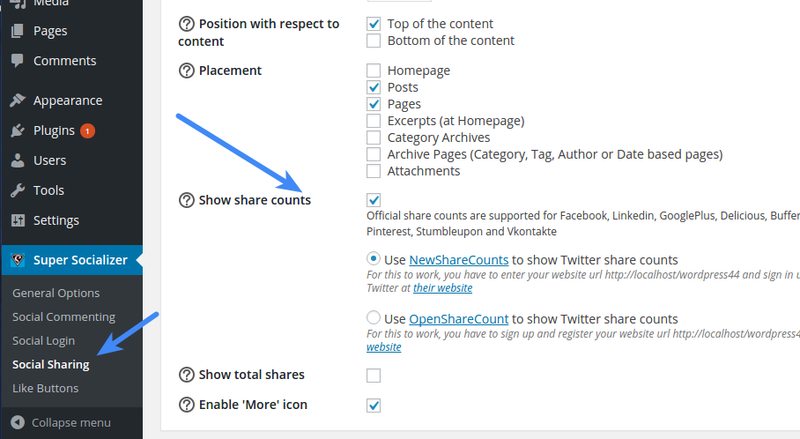 Use count attribute to enable the share counts on Social Sharing interface. 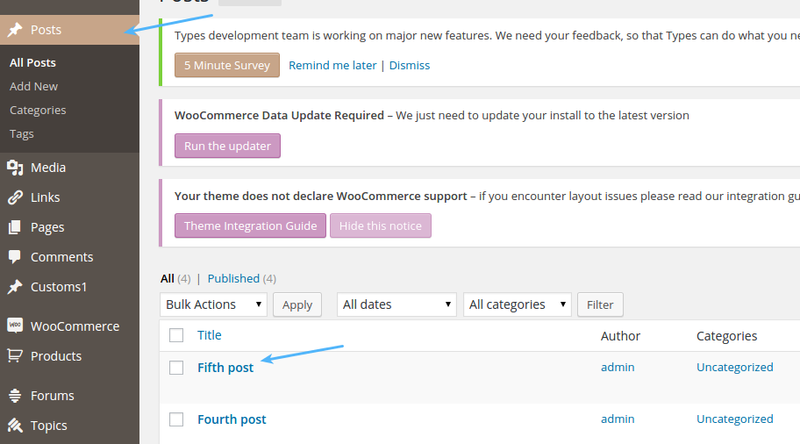 1 is to tell plugin to enable count. It is not the number of shares.